Best SEO, Social Media Marketing in the ATX. Austin Code Monkey is a full-service Internet marketing company specializing in SEO, Local SEO, Social Media Marketing, Web Development, Graphic Design, Audio & Video Production & SEO in Austin Texas. People today place a high importance on a business’s website image. Your website acts as your first impression to that potential customer at your site. Good looking websites are essential in converting a visitor into a customer leaving you mere seconds to captivate that visitor and turn him into a customer. What does your website say about your company? If your website is not attractive and easily navigated with relevant information, your visitor may leave and turn to your competitor. The Austin Code Monkey team of professional web designers knows what it takes to communicate and convey information to your customers in a way that is also aesthetically pleasing. A great website can easily mean the difference between a temporary visitor and a loyal client. That is why a professional web page is essential in attracting your target market and inspiring them to take action. We focus our attention on building you a website that works hard for your business and conveys your message for goods and services sold by you. We can overhaul your current website or build one from scratch to create brand awareness and generate more traffic. This allows you reach into your market space and helps with meeting with your sales goals. Our websites make it more affordable to provide services to your clients. We are dedicated to designing a website which brings you a higher return on your investment. In addition, we can integrate your Social Media profiles into your design to allow easy access for your customers, and to expand your online presence. We have the skills, knowledge and technology, with an experienced and talented staff, to produce top-of-line quality websites. We measure the success of our designers against the overall results, and their ability to improve your web image. We’ll start with an in–person meeting and/or couple of phone calls to help you understand your options with a free consultation. Then we look at some of the possible templates you might like. When the template is chosen and we both have a sense of the project, we draw up a work order that details the services to be performed. Only when all that is done will we take the initial payment — usually 50% of the total. Every project has its own requirements and is different. We strive to meet our clients’ needs, whatever they may be. If our collection of packages and steps doesn’t suit your project, we’ll find something that will. Website building that represent your company. The Austin Code Monkey team has built hundreds of website projects through the years. The one thing we pride ourselves on is the quality of our work. The solutions we design are graphically stunning and pop when look at. All of our developed websites are well-architected, easy to use, and built using solid code to the highest web standards. They are also designed to meet the specific business goals and objectives of our clients. Who is Austin Code Monkey? Austin Code Monkey is a full-service Internet marketing company specializing in Web Development, Graphic Design, Audio & Video Production & SEO in Austin Texas. Austin Code Monkey has more than 15 years of total experience in web design, Internet marketing and advertising in Texas. The company was initially manifested to help small business owners perfect their website development, Internet marketing strategies to reach their sales goals without breaking the bank. Over the years, Austin Code Monkey has been sought out by nationally-recognized corporations and Mom and Pops to provide internet marketing and web design for companies. Our honest marketing approach has helped keep our client retention high and our client revenue even higher. We are a team of website developers in Austin Texas who are passionate about website design, WordPress, and Search Engine Optimization. It is what we do! We are the website builder in Austin Texas you Can Trust to get your project done on time and on budget. We’re graphic designers, WordPress coders, and SEO consultants all rolled up into one. We love what we do and we want to share our passion for the internet with the you. We offer multiple levels of WordPress goodness designed around your needs and requirements. You get to decide how much or how little help you need. Austin Code Monkey offers prebuilt website templates and custom WordPress theme design to all-inclusive website development with integrated search engine optimization, we can help deliver a website that is designed to convert your ideas into tangible ROI. Austin Code Monkey offers graphic design services that include web design, logo creation, banner graphics, print and electronic media DVD creation service. Web Hosting that’s easy, rock solid, lightning-fast and affordable? Austin Code Monkey offers industry-standard web hosting solutions that are designed for your specific website build. 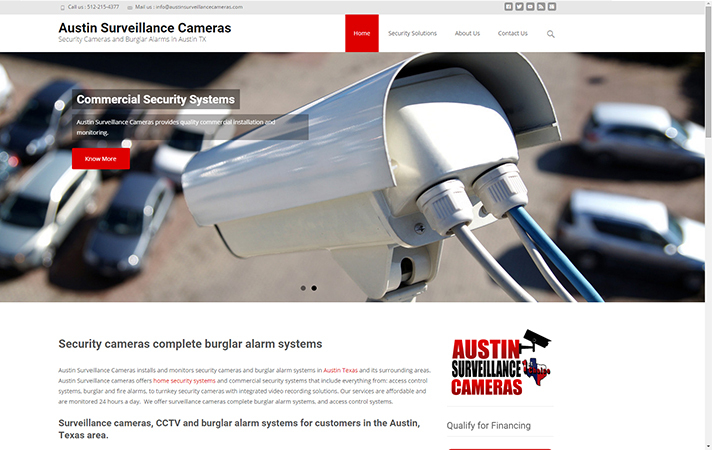 Austin Code Monkey monitors your site 24/7/365 days out of the year. We support everything we build on the phone or online. We offer 99.9% uptime and your giving you piece of mind that your website is hosted at one of our state of the art data center. You’ll know your site is always up and running. Austin Code Monkey’s website hosting is flexible and an affordable solution for businesses to host their website. Austin Code Monkey offers professional email that uses your domain and new website. 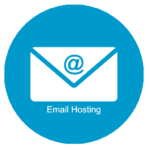 Hosting makes sure your customers can see your website. It’s kind of were your website lives. 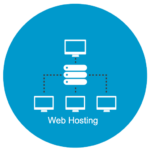 Some projects require more hosting than others and depending on your website traffic you may require more server or server power to host your site. Austin Code Monkey understands hosting and we got you covered. Website design SEO and Social Media Marketing. Austin Code Monkey is a full-service Internet marketing company specializing in Web Development, Graphic Design, Audio & Video Production & SEO in Austin Texas. 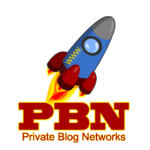 GET POWERFUL LINKS FROM GOOGLE OWNED PROPERTIES. 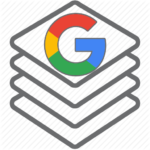 Google Drive Stacks leverages the power of the Google domain and trust to promote your website both from an increased rankings perspective, as well as having additional ranking properties in the search results. 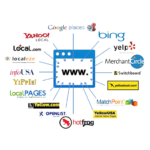 List your site across the internet with Local Website Citations. 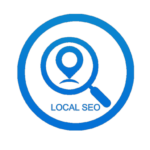 A local citation is any mention of your business on the web. Citations in SEO are a key factor in improving your local search results. Locally owned and operated Austin business focused on local SEO, web development and building our clients online presence. Austin Code Monkey drives new leads, gets you found online and improves interactions with your customers.